The belief that the number 13 is unlucky is so widespread that its origins are unclear — different theories link it to Christian tradition (once again related to the Last Supper, where Judas is said to have sat at the thirteenth place at the table); Viking lore (the trickster god Loki being the thirteenth god); and the Persian zodiac (in which there are twelve signs, leaving the number thirteen to represent chaos.) The specific fear of Friday the 13th dates back to the 19th century, combining two old superstitions: the fear of the number 13 with the belief that Fridays are unlucky days.The morbid fear of the number 13 is technically known as “triskaidekaphobia”, and is so common that many buildings have no floor 13 — going straight from 12 to 14. Black cats have long been seen in Western cultures as an omen of bad luck — they have long been associated with witches, and many cultures believe that a black cat crossing your path means you will suffer disaster or even death. Gamblers are especially fearful of the black cat curse — many of them believe that if they see a black cat while going to a casino, they should abandon their plans to gamble there. However, it’s not all bad news for the black cats; in some cultures, including in Japan, Great Britain and Ireland, the opposite is true, and black cats are seen as bringers of good luck. Actors can be a superstitious group — and nowhere is that more apparent than around Shakespeare’s play Macbeth (seen above, Ian McKellen (L) and Dame Judi Dench in a 1976 production of the play). The superstition holds that saying “Macbeth” in a theatre (outside of actually performing the play itself) will bring misfortune on the production — instead, actors will simply call it “The Scottish Play”. Productions of Macbeth are said to have been magnets for disaster from its very first performance — when legend has it the lead actor was killed when a real dagger was used instead of a stage prop. 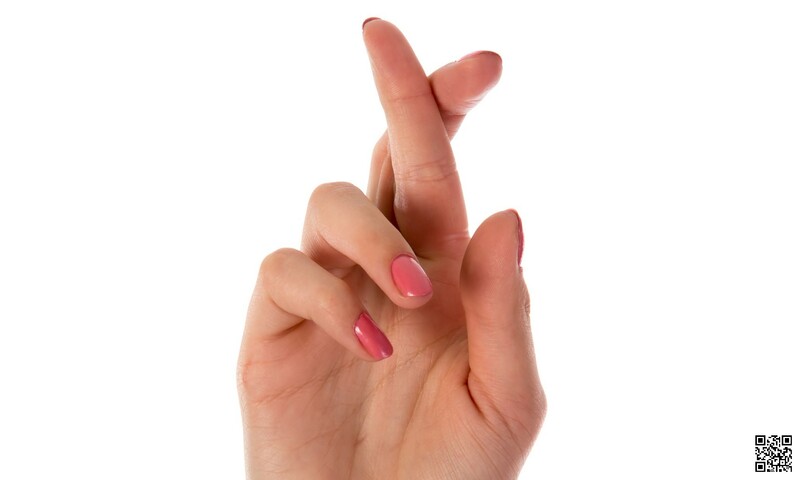 The other best-known actorly superstition is that wishing someone “good luck” before they go on stage will actually bring them the opposite — so instead actors tell each other to “break a leg”, on the grounds that wishing them bad fortune will presumably also bring about the opposite. The exact origins of this superstition are unclear, but it’s thought to have originated in the 1920s. Having a series of grotesque statues and faces on the outside of your building might not seem like an obvious thing to do, but the frequency of them — from the “Hunky Punks” and rather obscene “Sheela na gigs” of Ireland and the UK to true Gargoyles, like the one above from Notre Dame Cathedral in Paris — proves otherwise. To get technical, it’s a form of “apotropaic” magic; something intended to scare away evil. And true gargoyles serve another, much more practical purpose as well — their mouths are spouts that channel rainwater off the roofs of churches. The Dead Man’s Hand — a pair of black eights and a pair of black aces, plus a fifth unspecified card — is widely held to be an unlucky hand in poker (even though it’s actually a pretty good hand). Why? Because legend has it that those were the cards held by Wild Bill Hickok, the famous Wild West lawman and gunslinger, when he was shot and killed while playing poker in Deadwood in 1876. There’s little actual evidence that the story’s true — no contemporary accounts say what cards he was holding — but that hasn’t stopped superstitious gamblers believing it. If you ever see a character in a film get dealt this hand, there’s a good chance they’ll meet a sticky end very soon. 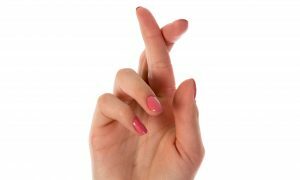 Crossing your fingers to wish for good luck (or, secretly, to get you out of keeping a promise) is common around the world — but its origins are unclear. It seems to be most common in Christian countries, suggesting that it’s related to the Christian sign of the cross. However, other suggestions include it being an old Pagan or Norse gesture, or possibly a good luck superstition created by archers during the “Hundred Year War” between England and France (archers used their two main fingers to draw back their bow). It’s a common superstition that a broken mirror will result in seven years bad luck — it’s thought this belief can be traced back to the idea that a mirror captures part of your soul. So when a mirror breaks, part of your soul gets broken too. That’s also why some cultures cover up all mirrors and reflective surfaces in a house where someone has died — so their soul can leave the building without getting trapped in the mirror. The superstition that a large rodent can predict the weather (if he sees his shadow, there’ll be an early spring; if he doesn’t, there’s six more weeks of winter) might seem ridiculous. But that doesn’t stop it being extremely popular in the US and Canada — even more so since one of the most famous groundhogs, Punxsutawney Phil of Pennsylvania, was immortalised in the film (above) of the same name. The tradition of animals’ shadows predicting the coming of actually dates back to an old German superstition around Candlemas Day, which was brought to the Americas by Germanic immigrants.But how good is Punxsutawney Phil’s record as a meteorologist? Pretty bad, actually — according to the Stormfax Weather Almanac, tracing his record for over a century, he’s only been right 39 percent of the time. Posted in DIY, Education, English, History.